So, you’ve been thinking about a home improvement project for quite some time. Something that will not only improve your home but add value and functionality as well. But, with a number of contractors in Fort Wayne, Huntington, Warsaw, and surrounding areas, how do you choose the best contractor for the job? Your mind has now jumped ahead beyond product and price, to the first day the job starts, and the workers begin to show up at your home. That’s an exciting time, but just to make sure things go in the right direction, Day 1 is not the time to ask questions about quality, insurance coverage, and the type of people who will be doing the job. NOW, is the time to do your homework on the quality of the company and the people that will be doing the work. It only makes good sense to cover all the angles BEFORE you agree to the home improvement project. With W. A. Zimmer Company, we want you to feel really good about your building experience with us. The more you know about W. A. Zimmer, the more comfortable you will feel with our contractors and the way we do business together. WHO DOES THE WORK? SUBCONTRACTORS OR EMPLOYEES? Our sunrooms, pergolas, patio covers, awnings, and windows and doors are installed by W. A. Zimmer employees. Since employees work for the same company all the time, using the same products, you get the consistency and quality you deserve. Even more, employees have a vested interest in your satisfaction, subcontractors have an interest in getting paid. WHAT IF SOMEONE IS INJURED ON THE JOB? You are protected when working with W. A. Zimmer Company. All employees are covered by worker’s compensation so you don’t have to worry about paying for injuries. WHAT ABOUT PROPERTY DAMAGE OR IF A NEIGHBOR IS WATCHING THE WORK AND GETS HURT? Our general liability coverage is designed to protect you from as many exposures as possible. HOW DOES THE COMPANY SELECT THEIR PRODUCTS? Reasons to recommend a product can be based on a variety of factors. Is it the cheapest? Is it the easiest to get? At W. A. Zimmer Company EXPERIENCE is our guide. Our main suppliers have been the same for over 35 years. We’re not guessing, we know how our products will perform and which ones best fit your needs and conditions. As you think about the pace of technology these days, having long lasting relationships with successful manufacturers is key to providing the latest innovations, keeping up on technical issues and staying ahead of the curve. Our installers have learned the ins and outs of these familiar materials and can play a harmonious tune with their tools and techniques. ARE THE SPECIFICATIONS IN WRITING COVERING ALL PROMISES? Does the contract specify sizes, colors, thicknesses, hinge direction, glass type, window size, and everything you expect to receive? W. A. Zimmer Company provides customers with a complete set of specifications along with a scope of work so you know exactly what to expect. ARE RENDERINGS PROVIDED SHOWING THE PLAN AND FINISHED PROJECT? One picture is worth a thousand words. That’s why we provide conceptual drawings showing attachment points, door locations, hinges, and many minor details so as a W.A. 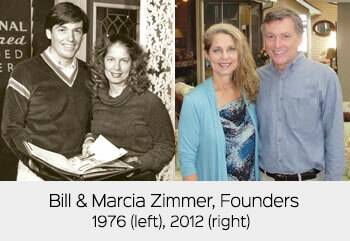 Zimmer customer, you can be assured that we understand what you want to accomplish with your home improvement project. As the project moves forward, our contractors work off the same drawing so everyone is headed toward the same goal. Not just lip service, we actually have a serviceman available to take care of your concerns. He’s a little like the Maytag guy with extra time on his hands but service is his first priority. If a problem arises just call and we’ll fill out some paperwork and get the process headed in the right direction. IS THE COMPANY A CHAIN, A FRANCHISE, OR LOCALLY-OWNED? When investing in your home, you can see the value in having a local company do your work, one where the owners stay put and are tied to the community. In a franchise, things can change almost as fast as managers and employees in a chain. With W. A. Zimmer being a local, family-owned company, you are much more valuable than just numbers on a spreadsheet. Your satisfaction is key to our success, we want referrals from your friends, relatives, and co-workers. Company policy is whatever is right and makes common sense. IS THE COMPANY FINANCIALLY RESPONSIBLE AND HERE TO STAY? When you think about a company that is still in business after 40 years, you get a good feeling they are doing a lot of things right. We’ve seen a lot of ups and downs over the years. Fortunately, we have always been a very conservative and financially responsible company. We own our showroom and warehouse, without debt. We take full advantage of cash discounts from our suppliers so you get the best prices. Our conservative financial stance is good news for you because the dollars we save on financing costs allow us to provide a higher quality product for your home at a lower cost.